THERE are indications that the decision by the Ghanaian government to scrap its fuel subsidies to curb fiscal deficit saga in its budget may have elicited fresh fears for Nigerian government pursuing similar policy direction. Besides, President Goodluck Jonathan’s special committee set up to review the Ribadu report on fuel subsidy scam, may have abandoned their assignment due to pressure from some quarters to kill the report. The Guardian gathered that the Federal Government was yet to put to rest its proposed plans to end subsidies on petroleum products due to pressures from different quarters such as fuel marketers and International Monetary Fund (IMF). According to a source, with this latest development from Ghana, the government might want to consider scrapping fuel subsidies, which it has not totally given up on. The Nigeria’s 2013 budget is hinged on an expectation of oil production of 2.53 million barrels per day compared to 2.48 million barrels per day in 2012. The benchmark oil price was also left at $79 per barrel up from $72 per barrel in 2012. Also, real Gross Domestic Product (GDP) growth rate of 6.5 per cent was projected as well as average exchange rate of N160/$. The Ghanaian government announced at the weekend that it had increased the prices on fuel between 15-20 per cent. The National Petroleum Authority (NPA) said in a statement that the decision followed a government directive to achieve full pass-through petroleum products prices in the West African cocoa, gold and oil exports. “The maximum indicative price for a litre of petrol will be GH¢2.0496 (GH¢9.22 per gallon) and the maximum indicative prices for a litre of diesel will be GH¢2.0683 (GH¢9.31 per gallon),” it quoted the statement as saying. Kerosene will now sell at 104.65 pesewas per litre, a 15 per cent rise while LPG will go for GH¢24.36 per a 12.5 kg cylinder, according to the report. The LPG price is increased by 50 per cent. A statement signed by the NPA’s Chief Executive Officer, Alex Mould, said the new prices were based on the crude oil price of $116 per barrel and an exchange rate of GHS1.89/USD. Ghana’s economy has been one of the world’s fastest growing since oil production started in 2010, but the government has struggled to steady its cedi currency and contain deficit spending. The cost of subsidies last year reached one billion cedis ($500 million) and was expected to rise to 2.4 billion cedis this year, before the NPA raised prices in February. Ghana has set a 2013 deficit target of 9 per cent of GDP. The Federal Government had announced the total removal of subsidy on petrol on January 1, 2012 without prior announcement, raising the price of a litre of the commodity to N141 from N65. The week-long mass demonstration, which followed, forced the government to partially remove the subsidy and reduced petrol price from N141 to N97 a litre. But if the government eventually removes fuel subsidy, Nigerians will be paying a minimum of N146.59 per litre of petrol at filling stations. This is based on the Petroleum Product Pricing Regulatory Agency’s template, which reveals that the landing cost of a litre of petrol is currently N131.10, with total distribution margins of N15.49, thus bringing the total cost to N146.59. Over the years, there have been removals of fuel subsidy by previous governments. For example, during the Gowon regime in 1973, government raised the price of fuel from 6k to 8.45k, which represents 40.8 per cent increase. During the Murtala Mohammed administration in 1976, it went up from 8.45k to 9k, representing 0.59 per cent. Babangida, December 19, 1989: moved to uniform price of 60k, 42.86 per cent; and Babangida, March 6, 1991: 60k to 70k, 16.67 per cent. Also, during Shonekan administration on November 8, 1993, the price of fuel was increased from 70k to N5, representing 614 per cent; Abacha, November 22,1993: petrol price drops from N5 to N3.25k representing -35 per cent; Abacha, October 2,1994: N3.25k to N15, 361.54 per cent; Abacha, October 4,1994: price drops from N15 to N11, representing -26.67 per cent; Abubakar, December, 20, 1998: N11 to N25, 127.27 per cent and Abubakar, January 6,1999: N25 to N20, -20 per cent. Again, during Olusegun Obasanjo administration on June 1, 2000, the fuel pump price was raised from N20 to N30, representing 50 per cent increase; Obasanjo, June 8, 2000: Petrol price reduced to N22 , -10 per cent; Obasanjo, January 1, 2002: N22 to N26, 18.18 per cent; Obasanjo, June to October, 2003: N26 to N42, 23.08 per cent; Obasanjo, May 29, 2004: N50, 19.05 per cent; Obasanjo, August 25, 2004: N65, 30 per cent; Obasanjo, May 27, 2007: N75. 15.38 per cent; Yar’Adua, June 2007, it went down to N65 representing a 15.38 per cent reduction and in Ebele Goodluck Jonathan on January 1, 2012 increased fuel price to N141 and later reduced it to N97. Meanwhile, indications emerged at the weekend, that President Goodluck Jonathan’s special committee set up to review the Ribadu report on fuel subsidy scam, have abandoned their assignment due to pressure from some quarters to kill the report. The Guardian gathered that President Jonathan seems not to be disturbed by the failure of the committee to meet the two weeks deadline given to the members of the committee in November 2, last year to produce a draft white paper. A source from the presidency, which spoke with The Guardian at the weekend, said that the committee, which has virtually all the ministers as members, has not done much to produce the draft white paper. According to the source, it is clear that government has succumbed to pressure to ensure that the real truth from the report is not revealed. The Guardian gathered that there have been serious lobbying from those implicated in the report so as to avoid disgrace from the findings of the special committee. The source disclosed that the committee constituted was having disagreement among themselves concerning what should be recommended to the government. “There are already discordant tunes among the members of the committee on what should be recommend and what should not be recommend. So, coming out with the recommendations is already being obstructed with this. President Jonathan has also lost interest in the report, which is the reason he is not pressuring the committee to submit the report. I must tell you that the report has died a natural death”, he said. It will be recalled that the president constituted three committees to prepare draft white papers on reports of special task forces on petroleum, refineries and governance. This was in line with his earlier vow to fully implement the Nuhu Ribadu’s Special Petroleum Task Force committee’s report. The committees, according to a statement by Reuben Abati, Special Adviser to the President on Media and Publicity, are to prepare the draft white paper for consideration by the Federal Executive Council (FEC) within two weeks. The statement noted the action is in furtherance of the president’s “declared commitment to doing all within his powers to ensure greater accountability, probity and transparency in Nigeria’s oil and gas industry”. 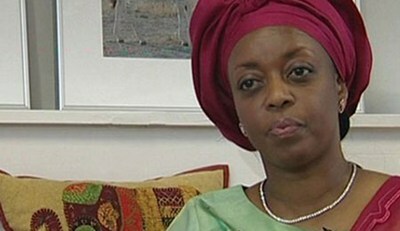 The White Paper Committee on the Petroleum Revenue Special Task Force report, which was submitted by Nuhu Ribadu, was chaired by the Minister of Labour, Emeka Wogu with the Minister of Interior, Abba Moro, Minister of State, FCT, Jumoke Akinjide and the Minister of State for Foreign Affairs II, Nurudeen Mohammed as members. The White Paper Committee on the report of the Governance and Controls Special Task Force was chaired by the Minister of Lands, Housing and Urban Development, Ama Pepple. Other members of the committee are Minister of State, Defence, Olusola Obada; Minister of Transport, Idris Umar, and Minister of State for Agriculture and Rural Development, Bukar Tijani. The White Paper Committee on the report of the National Refineries Special Task Force has Minister of Mines and Steel Development, Mohammed Sada as chairman, and Minister of Agriculture and Rural Development, Akinwunmi Adesina, Minister of State for Health, Muhammad Pate and Minister of State for Education, Ezenwo Nyeson Wike as members. Reacting to this development, the Director General of Lagos Chamber of Commerce and Industry (LCCI), Muda Yusuf told The Guardian that the inability of the committee to produce the white paper after several months showed that the government was no longer interested in investigating fuel subsidy scam in the country. Yusuf stated: “It is not surprising that the white paper on the Ribadu report is yet to see the light of day. Given the totality of the circumstances and the ramifications of the issues and the personalities it is doubtful whether there would be white paper. First, there was an issue with the composition of the committee. Some members of the committee cannot be expected to be unbiased because of vested interests. “Secondly, it is impossible to do a thorough investigation of such a strategic institution when the key players that were being investigated were still on their seats. “Thirdly, the committee was not a team. They were pulling in different directions with divergent agenda and there was no way it could have produced a credible report. “The fact that the committee members could disagree in the presence of Mr. President and in the full glare of the public has far reaching implications. “Evidently, the committee did not get the desired cooperation from the key agencies that were to supply vital information. With all these, it is difficult to go forward with the report. It is doubtful whether the government is ready to do a thorough investigation of the oil and gas sector”. Also, the Task Force on Refineries led by Kalu Idika Kalu, suggestions to the Federal Government on how to turn around the country’s refining industry has not been worked upon. The task force gave both short and long term measures in the effort to make the refineries work. In the interim, it wants a new offshore refining scheme to be initiated. “NNPC currently receives 445,000 barrels of crude oil per day. Of this, only a fraction is refined locally. We propose that the total balance of the unrefined crude should be refined by a new independent arrangement to meet the national demand of the regulated products (PMS and DPK). “In this regard therefore, the NNPC refineries should be supplied only crude that they can refine. An accountable specialist team should be instituted within NNPC to implement the scheme, based on clearly defined governance and operating guidelines,” the task force advised. It suggested changes in the ownership structure and business model of the refineries in order to turn them around. It is recommended that the federal government should relinquish control of the operation and management of the refineries by divesting a majority of its 100 per cent equity to competent, resourceful and experienced refining private partner(s) in accordance with the Public (Privatisation and Commercialisation) Enterprises Act 1991. It wants this privatisation process to be accelerated in an aggressive but workable time frame, which should culminate in the transfer of majority ownership and operatorship of the refineries to experienced and capable partners within 18 months. NRSTF advised that the plan for full rehabilitation of the plants should be discontinued.